Home Lifestyle	Win a free year of Netflix for you and a friend! 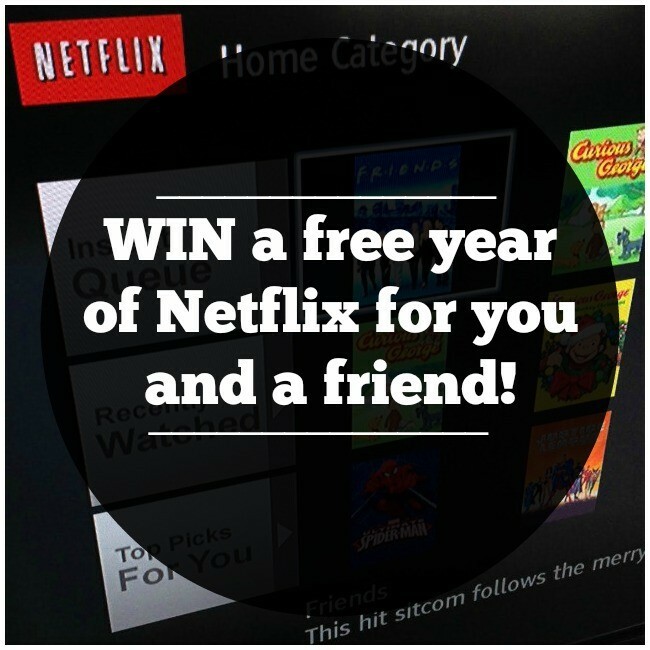 Win a free year of Netflix for you and a friend! I don’t know how you are spending your cold winter days, but in my house we are all about the Netflix. My kids argue over what they want to watch, but because there are so many choices for kids it doesn’t take long to find something they both love. Oscar is currently all over Transformers Prime, while Calvin is happily floating in the Disney bubble. When I make them both agree on something? It’s all about Curious George! And if they catch me on a good day, I might even let them each watch what they want in separate rooms. I have a list a mile long of shows I want to catch up on and our queue is bursting with great content. Now if Netflix could just throw a few more hours each day in there, we’d be golden! Are you following me on Instagram? If not, today is your day! I am giving away 2 free Netflix memberships and you have until 11:59pm EST, February 1, 2015 to enter! Just head over to Instagram for your chance to win. I’m thinking House of Cards will be my next grown-up binge. What are you watching? Disclosure: This post is part of my affiliation with the Netflix #StreamTeam. All opinions are my own.